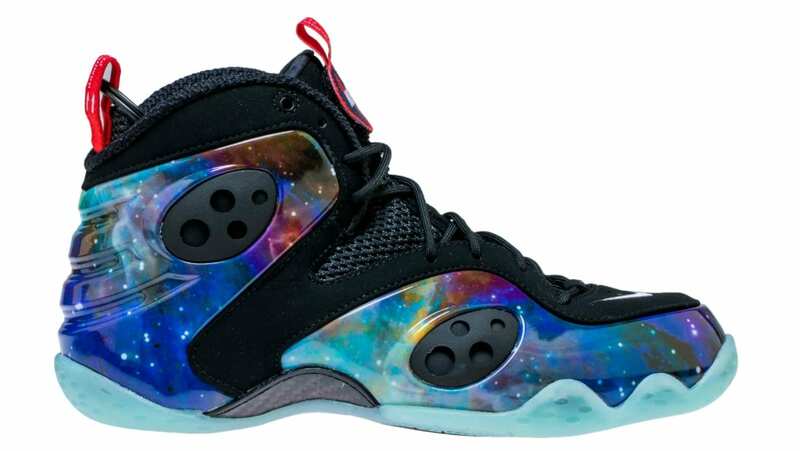 Nike Nike Zoom Rookie VB "Galaxy"
Nike Zoom Rookie VB "Galaxy"
The 2019 version of the popular Nike Zoom Rookie "Galaxy" will don the iconic "Galaxy" Foamposite shell that's paired with black nubuck overlays on the lateral and medial pods. Additional details include the red 'Remove Before Flight' tongue and heel tabs, along with a blue glow-in-the-dark outsole. Release date is Feb. 22, 2019.